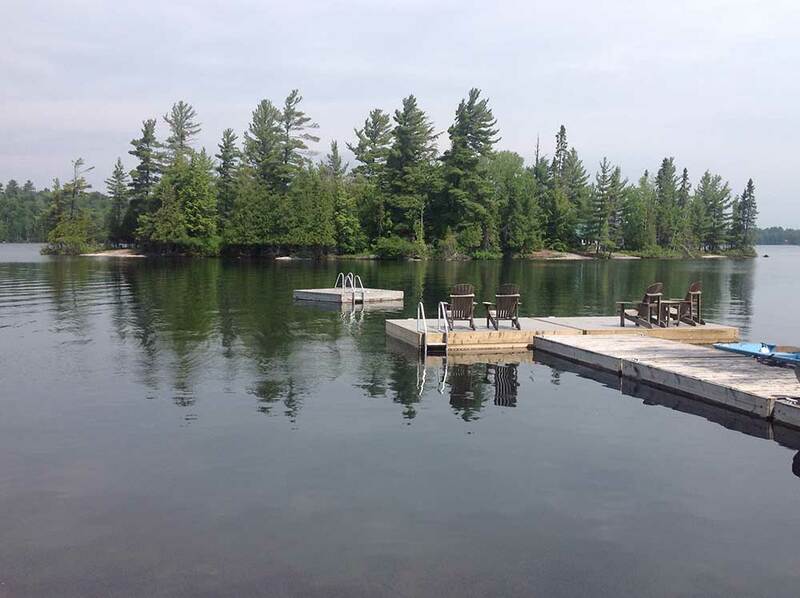 Here are a few points to keep in mind before you start building a dock at the cottage. The rules have got a little tougher since a court ruling in the Kawarthas so it's good to do some homework before you start. It's always a good idea to check with the local township before constuction starts, rules can change! 1. You can generally do minor repairs ( ie. replacing a rotten board ) without a permit but every municipality has their own rules so check with your local buiding official to be sure. 3. Ministry of Natural Resources approval is now required from anyone wanting to build, replace or expand a dock on or above more than 15 square metres of shoreline (161 square feet). The same new rules also apply for single-storey boathouses. 4. New dock construction can also require, depending on the township, an approved building permit. 5. If the area you want to place the dock is Enviromentally Protected or is a fish habitat area restrictions may be in place. Contact the Departrment of Fisheries and Oceans for current guidelines. We highly recommend finding a competent local contractor who is well versed in all the new rules and regulations related to new dock construction. Some townships such as Magnetawan do not require a buiding permit for many dock builds but others do so it's always safer to check. There can be heavy fines for non-compliance from several levels of government! We know Muskoka and Parry Sound cottage country and would be happy to give you a list of our approved builders, just give us a call.